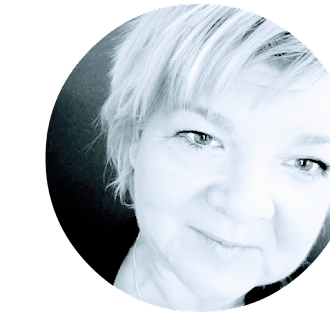 Mommy's Nest: Tired - but stickin' it anyway! Tired - but stickin' it anyway! If you wanna play too - head on over to Supah's place for all the deets. Hope you feel better soon! Any medicine with sleep aids always knocks me out. The yoga pants I got from Walmart are Danskin. They have a lot of different styles ranging from $9 - $13. I couldn't find the ones I bought on their website :( Danskin is a good brand, my kids have been wearing their stuff for years for dance class. Feel better!!! Nyquil is fabulous, but it gives me the jitters the next day! HAHAH! Nyquil doesn't even make me sleepy! 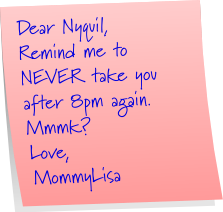 nyquil is evil if taken too late! saw ur link on Supah's page!